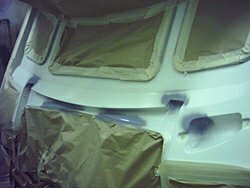 North Coast Caravans Ltd. - Bude Cornwall - Caravan Repairs. Accident damage, dampwork, structural problems, floor panels, delamination and insurance work. 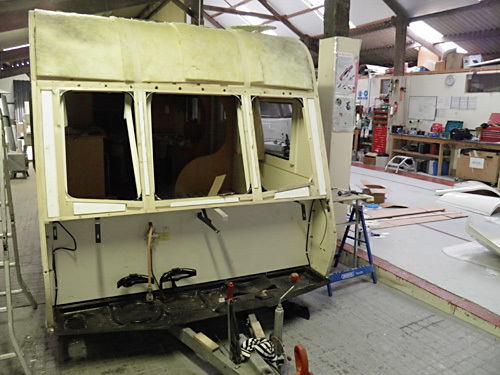 With car and caravan lifts for ease of access and a host of specialist tools & materials, the workshops at North Coast Caravans allow us to undertake major construction and repair work. Our facilities and the skill of our staff is recognised not only by customers who recommend us to others, but also by major manufacturers and insurance companies. Although much of the work we undertake involves accident damage, a large proportion is now caused by water ingress problems. Whatever the damage, we can give you a very competitive quote that will not compromise on quality. One of the most serious problems with a caravan is damp ingress, which gradually spreads out as more water enters between the sandwiched panels, until the damage is all too obvious. A damp check is included in our standard service. If detected early enough panels will not be damaged and can be easily rectified without the need for major repair. Drying with heat, dehumidifying and resealing may be all that's necessary to disperse the moisture and guard against further problems. 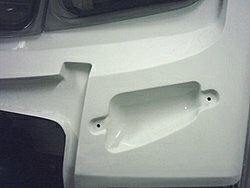 Should the situation have gone undetected for some time, the interior panels may become soft, swell or even go pimply, then more serious action would need to be taken. Serious damp problems require interior panels to be removed and any damaged framing would also need to be replaced. This procedure is important to retain the rigidity of the caravan which depends on the sandwich of materials being bonded together. Proper sealing of all mouldings are then necessary to prevent any re-occurance. All aspects of repair work are within our remit, for example - fridge faults, water heaters and skylight replacement, etc. Plus we service and repair gas, electrical and plumbing installations - such as fires, chargers and showers etc. As commonly used spare parts are carried in stock we can normally solve problems with little delay. We also operate a call out service to fix urgent problems.